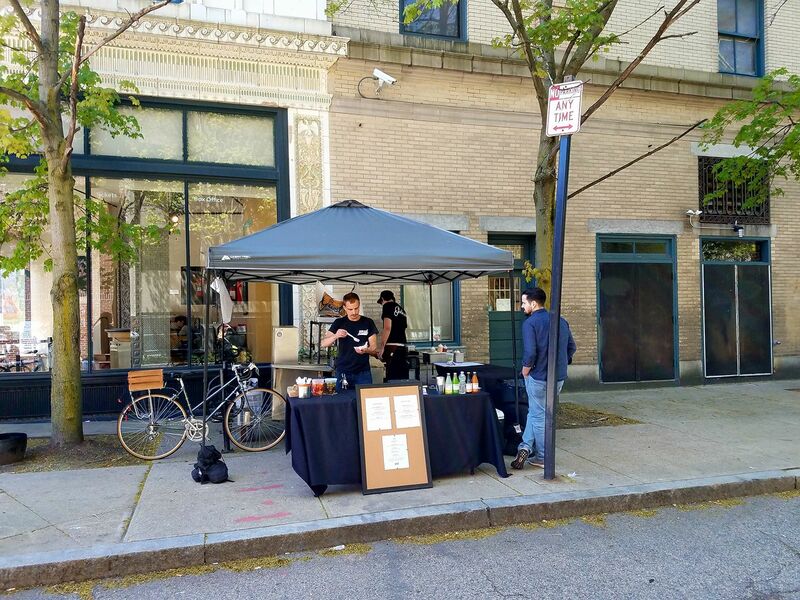 The Providence food cart is mixing up the mobile vendor scene with housemade sausage sandwiches and charcuterie. Gastros chicken sausage with herb mayo and pickled red onions. 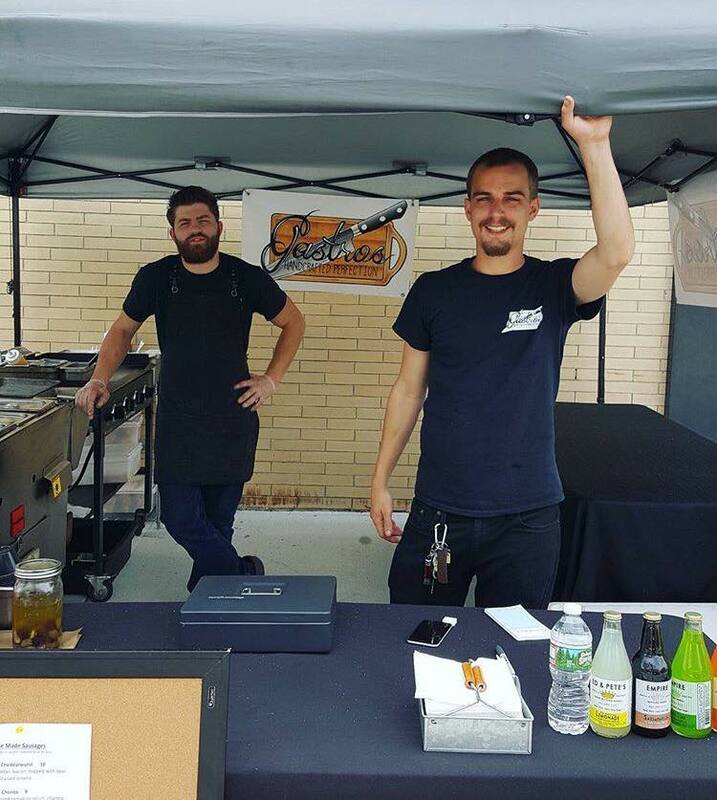 Owen Doyle and Travis Gervasio are carting their housemade hot dogs and sausages around Providence to rave reviews. The co-owners launched Gastros mobile food cart in 2015, getting the business off the ground while working unsatisfying corporate jobs. Now they’ve been able to quit those positions and move on to full-time touting of their recipes, including bacon cheddarwurst, smoked chorizo and chicken sausages as well as customized hot dogs, chili cheese dogs and Mexican street corn dogs, all served with housemade condiments and fresh herbs on locally baked garlic butter toasted brioche buns. They also serve sides of potato salad, pickled vegetables, beef jerky and marinated olives. Travis Gervasio and Owen Doyle run Gastros. And these aren’t your average hot dogs. 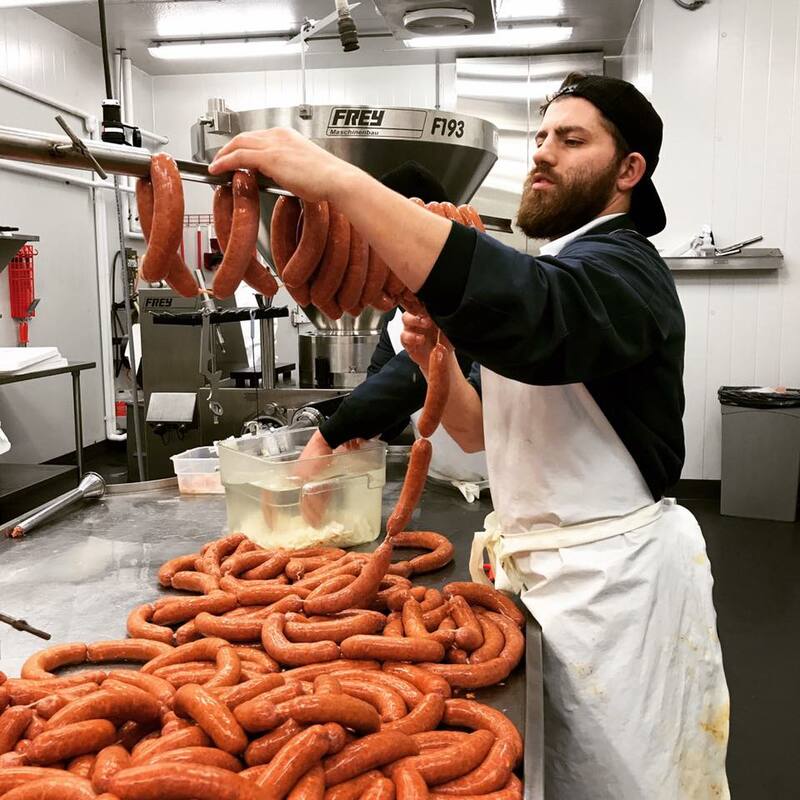 Gervasio is a self-taught master who specializes in charcuterie, working out of the USDA facility New England Charcuterie in Waltham, Massachusetts, where he hand-processes many of the Gastros products using top of the line equipment. “We’re using nothing but Heritage pork, all natural casings and top quality ingredients all the way through with all of our sausages,” Doyle says. 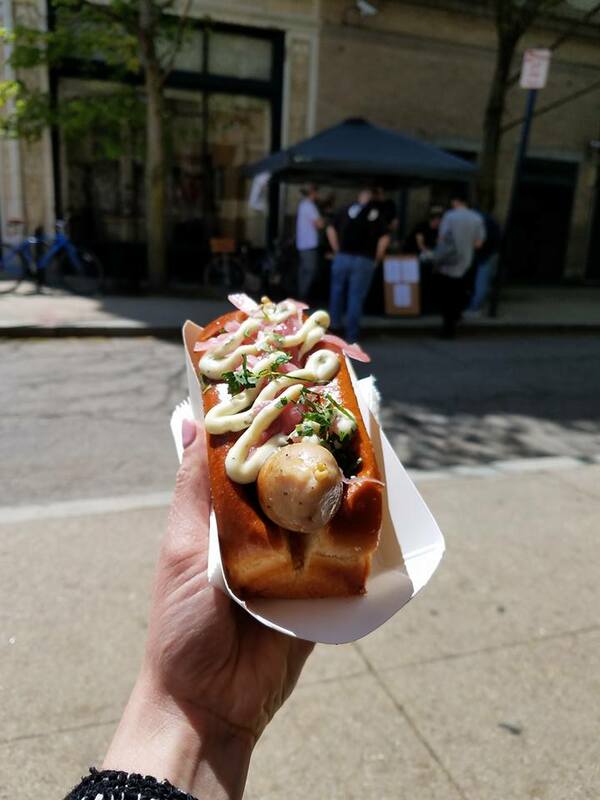 Gastros also caters events, and you can find them out and about five or six days a week, including Thursdays from noon to 2 p.m. outside Trinity Repertory Company and from 5 to 9 p.m. at Long Live Beerworks. They also participate in Food Truck Fridays at Roger Williams Park’s Carousel Village, and can be found at other locations by following their Instagram, Facebook and Twitter feeds.